This is a very short work – a novella really, but it’s totally riveting and quite powerful – truly a classic and one I want to reread before too long. Zweig’s unnamed first person is on a cruise when he hears that a fellow passenger is the famous Mirko Czentovic, an international chess champion. The narrator then relates Czentovic’s background rising from an orphan to a chess prodigy. Meeting Czentovic becomes a huge goal. A few days later he hatches a plan and fortuitously meets a very wealthy man who is willing to front the money for a match. These two, Czentovic and the wealthy man, both insist on winning, but a third party enters the picture – one with an unusually high level of skill at chess. I have a no spoilers policy so I’ll go no further about the mesmerizing plot. The characters are all very interestingly drawn and the overall themes concern types of intelligence, manias, power and evil. 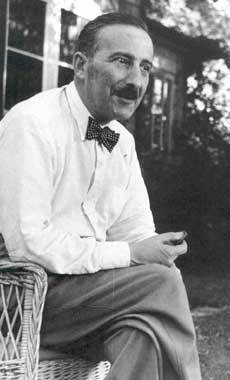 This is the last novel Stefen Zweig, an Austrian Jew whose work was banned by the Nazis, ever wrote. He and his wife had immigrated in 1934 and Chess Story was written while they were in Brazil. Despairing at the plight of civilization, the couple committed suicide there in 1942, the year following publication.